Mapping out the visits of legendary stars to Scotland during the 20th Century ..
Stars in Scotland is back with a new exhibition for the 2015 Hippodrome Festival of Silent Cinema, in Bo’ness, near Falkirk. Silent Stars in Scotland comprises photos – from The Herald’s photo archive – of some of the biggest stars of the silent era. The advent of talkies hit Hollywood like an earthquake. So said sultry silent star Pola Negri in a Scottish newspaper in 1931 – and she certainly knew what she was talking about. One of the biggest screen stars of her day, she was now treading the boards on the British variety circuit – paving the way, it turned out, for her fellow “silent” players who would follow her to Scotland’s theatres. During the 1930s, stars who had only existed on celluloid for movie fans here in Scotland materialised on their very door steps – with voices. 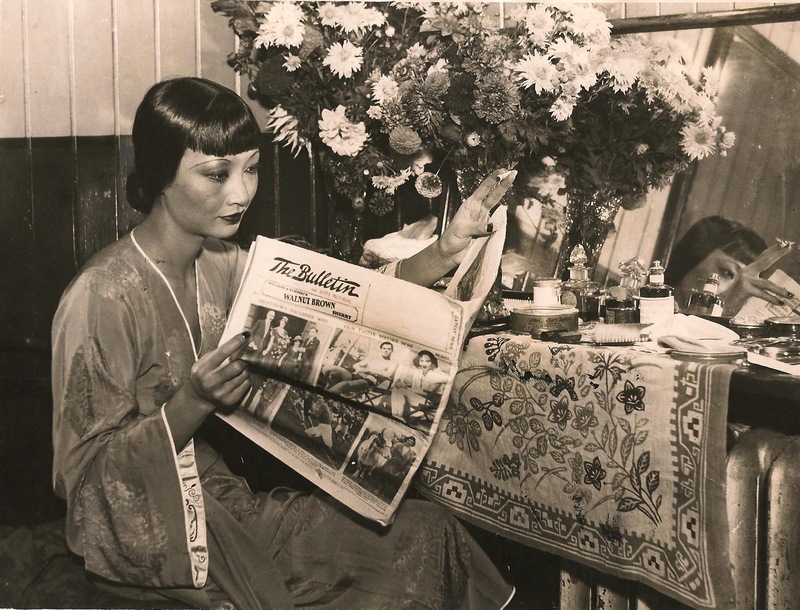 In a five-year period, Lillian Gish, Pola Negri and Anna May Wong could all be seen in the flesh in Scotland’s theatres – and photographers from the Glasgow Herald’s sister newspapers, the Evening Times and The Bulletin, were there to record their visits. Some stars tried to make a gradual transition into talkies but many had to rethink their careers – and in numerous cases this meant returning to the stage or taking to it for the first time, either to keep themselves in the public consciousness while they pondered their next move, or to try to make a living while their name and celebrity still had currency. The exhibition runs in the Forth Valley Royal Hospital from February 17 – March 15, at Bo’ness Library from March 19 – April 14, then tours community venues in the Falkirk area. Could you please credit The Herald & Times Group as they own the copyright?